My project has 1 gateway + 5 node with temperature sensor and it is installed in orchard. All node is within 20meter from gateway but seems there are a lot of packet loss. Communication was fine in the office but when I install in the orchard it loose some data. I did try a lot of things on the web. Here is the list I have been try to solve the problem but no luck yet. It's really strange, the module specification is 1km but even not working properly within 20meter.. I don't think there is interference because it is installed rural area.. I had some issues with pa+lna modules. The solution was a better ground connection. When it was in your office, was it 20 meters distance? What kind of nRF does the nodes have? Thank you for your reply. Can you share how to make better ground connection? I made tinfoil wrap on the module and connect gold antenna connector. @yd-kim In my case I added an extra wire-connection fromm the 5V-side of the LDO-module to the 3.3V-side. Well I guess it was 10-15meter in the office. Also when I check the orchard on google, it probably 25-35meter. Sorry for making confusion. I used first 5 node + 1 gateway and it was same distance issue so I made another 5 node and 1 gateway with more capacitor but same distance problem. 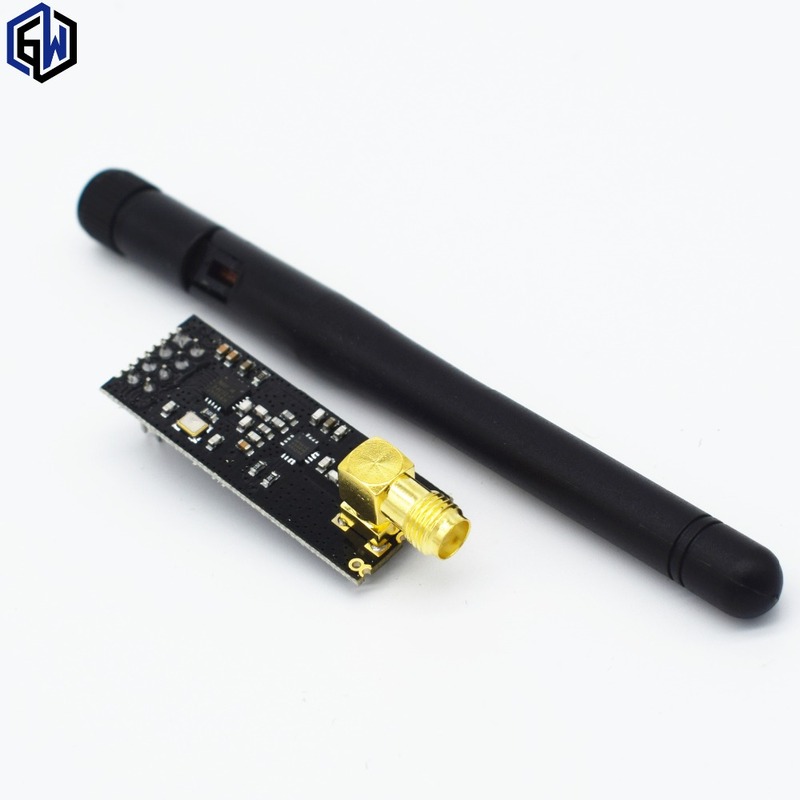 The title on aliexpress is "1100-meter long-distance NRF24L01+PA+LNA wireless modules"
Sorry I put correct link. The link is the product what I bought from aliexpres. Do you have nRF+LNA+PA on gateway? Do you have nRF+LNA+PA on nodes? Thank you for your quick response. Well I use custom PCB which has plenty of GND area on the board. Anyway will keep think how to make better ground for the module. I use nRF+LNA+PA on both. Check that you have correct antenna. 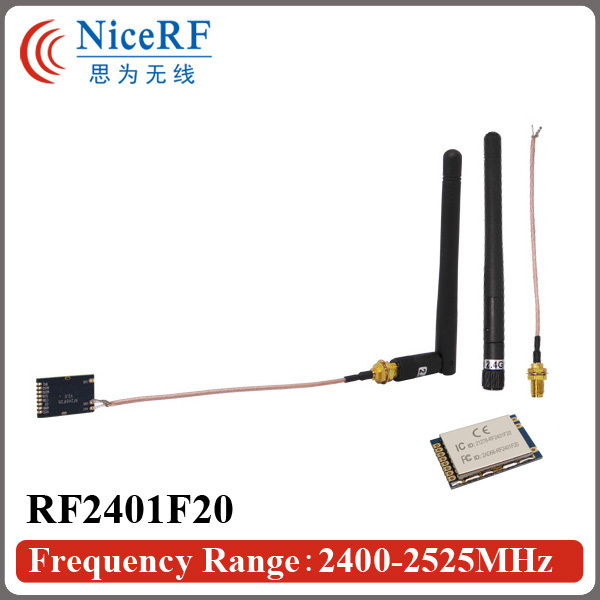 I was using female antenna and the nRF was also female which resulted in very bad connection. Nodes are not battery powered? Also check with RF scanner if its not a "jamming" from other RF device, or simply try to change channel to different one. At the first time I use default antenna but it was same issue so I bought exactly same long antenna. It make a little bit better but not perfect.. I knew what you are talking about. It wasn't normal so a little bit expensive compare to normal wifi antenna. Whole system is Li-Ion battery powered system with solar. Gateway has 3S2P Li-Ion battery with proper solar panel. Battery voltage never go under 11V. Node has 1x18650 Li-Ion battery with small solar panel. Node goes sleep mode for 10 minutes then wake up and send data within 10 second. Device is installed in rural area. There is only one wifi. I don't think there is jamming or interference.. I don't have RF scanner. If I couldn't find any other solution , probably I need to build RF scanner to check it..
@yd-kim https://www.mysensors.org/controller/sniffer might be an easy way if you want to scan. What kind of Arduino do you use? Why don't you connect the NRF also directly to the battery? nRF module should not use over 3.6V and Li-Ion battery is 4.2V when it is full charged. Quick fix may be to add resend if Failed. I thought you are also powering the Arduino directly from the battery over the 3.3V pin. Arduino doesn't matter up to 5V so I don't mind for arduino. If I feed same power to arduino, I need bigger LDO and also less efficiency.